Welcome to Sturbridge, a super convenient neighborhood! 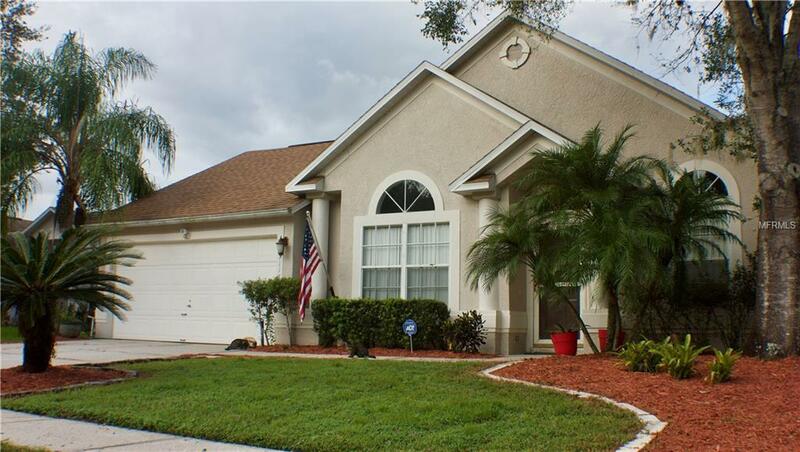 Located behind the Super Walmart, this home is only minutes away from Waterford Lakes Shopping Center, UCF, 408, 417 and many more amenities! VAULTED CEILING offer an open space ambiance and plenty of natural light. Large FENCED IN BACKYARD with MATURE LANDSCAPING including PALM TREES and FRUIT TREES; Breathtaking WATER VIEW provides a tranquil lifestyle. In the winter when the weather is cooler, many different species of birds can be found relaxing by the pond, including a peacock! It's MOVE-IN CONDITTION. The owner took very good care of the home and have made many updates. NEST THERMOSTAT lets you control the temperature via WIFI!! Other updates include a NEW ROOF (2014) with ARCHITECTURAL/HURRICANE SHINGLES, NEW A/C CONDENSER (2015), NEW CARPET (2018), NEW FOOD DISPOSAL (2018), and NEW GARAGE DOOR MOTOR (2015). Don't hesitate, call now for a showing! Additional Lease Restrictions Hoa info Needs To Be Verified. Please Visit Hoa Website Mywoh.Com For Contact info.